Next Friday, March 9, sees the entry into force of the new Public Sector Contracts Law incorporating into our legislation the directives whereby the European Union wishes to establish a framework of greater efficiency and transparency for public procurement, as well as of better economic conditions for governments. Among the novel aspects shown by this legislation is the new typology (removal of the public service management contract and of the public-private partnership agreement and the creation of the services concession agreement), the changes in the selection and award procedures (elimination of the negotiated contract without publication due to the amount), the measures aimed at providing greater publicity for public tender procedures and simplifying their processing, the solutions to allow the participation of SMEs (fractioning in lots) or the importance of the overall valuation of economic and qualitative elements in the award. The measures focused on restricting low-value procurement also become particularly important. 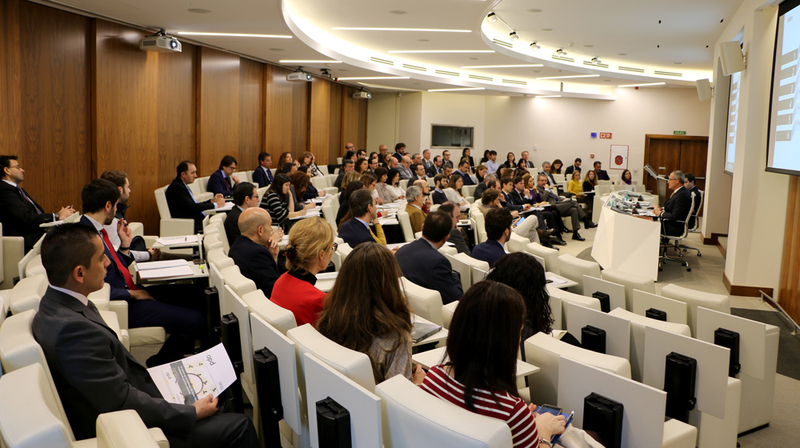 The analysis of the most relevant characteristics of the text in relation to these new developments and their impact were the central theme of the conference which Garrigues organized on Tuesday, February 27, in the auditorium of the corporate headquarters in Madrid (Spain). Under the title, the new Public Sector Contracts Law: Implications for businesses, it was held in collaboration with the Asociación para el Progreso de la Dirección (APD) (Association for Management Progress). The conference was opened by the director of the Central Zone of APD, Loreto Sanmartín, and Alfredo Fernández Rancaño, partner in charge of the Administrative Law department of Garrigues. During his presentation, the partner Javier Manchado (Administrative) expressed the opinion that the future law will “administrativize” the awarding authorities. Together with him other Garrigues professionals such as David Arias (partner), Javier Fernández Rivaya (partner) and Juan Muguerza (principal associate) participated and in their opinion “the Public Sector Contracts Law integrates the substantive and supervisory rules of what has been amended of all awarding authorities”.